As property owners we all try to maintain our buildings to the best of our abilities but sometimes we are unaware that our homes or buildings have wood that has become damaged by moisture or even insects – termite damage. 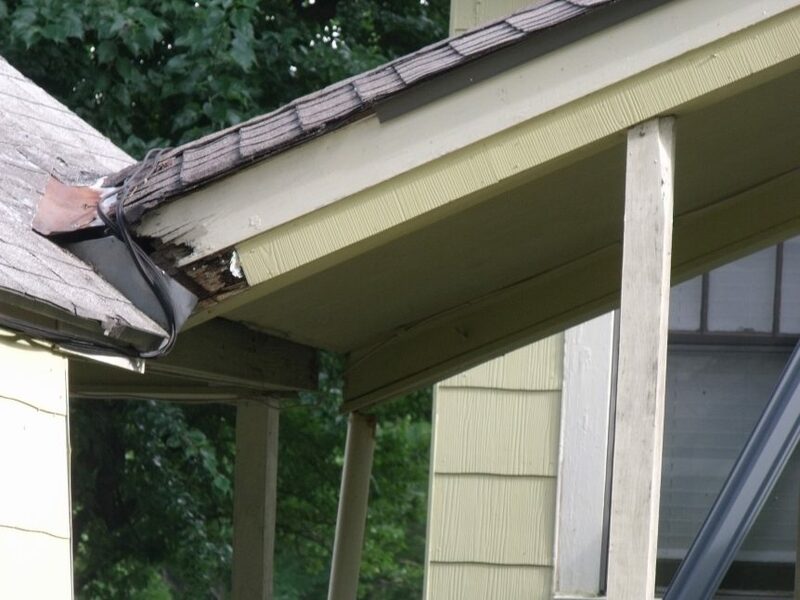 Perhaps the paint has peeled off of the structure revealing this damage or wind has taken the Vinyl Siding off of your home only to show that insects have invaded the property. This issue needs to be remedied immediately, the longer you let the problem go, the worse the damage becomes. If your insurance company becomes aware of the problem they will require a speedy solution or you could lose your insurance on your home or building. Do you know that not all companies or installers are willing to remove and replace rotten wood when painting, installing Vinyl Siding or Cement Board? They are only willing to install the new material on the exterior of your home or building. And many times they will not tell you this important fact until after the job has started, leaving you in a precarious position. If you are using an individual to paint or install Vinyl Siding, they may tell you that they are not capable of changing out or just will not change the rotten wood, and so now the situation requires the hiring of a carpenter to do this portion of the job. So now you have to hire a carpenter to do the necessary wood repairs AND pay the individual to continue the painting or installation of Vinyl Siding or Cement Board. But not to worry with MAXWALLPRO. A part of our service is to inspect for rotten wood, let the consumer know where it exists if they are not aware of it, and write it into our contract as part of the work to be done on the home or building. Before any Radiant Barrier or Steel Siding Panels are installed on the home or building the rotten wood is replaced with new wood. Once the rotten wood has been removed the project proceeds on. After all, isn’t this one of the biggest reasons to protect the exterior of your home or building, to protect the wood that is one of the main elements of the structure.